This post has been written by Hany Zaki – my man in Cairo. Besides being an encyclopedia of Egyptian music, he has been a very helpful resource for other North African and Middle Eastern music. He also runs a website dedicated to Omar Khorshid. As young man he emerged at the sunset of the grand artists of the Middle East, Omar El Shariyi did not depend much on his family’s wealth through his struggles in the music scene – even though he was blind. His tools were his talent that made him earn studies from various musical institutions worldwide. Omar got start as a musician playing accordion before switching to keyboard, playing with small bands and artists in night clubs and weddings. He eventually made the move to composition in 1975. He got his big breakthrough when he collaborated with the music superstar Shadia to compose music for her 1979 film “Suspicion My Love”. That opened many doors for him to work with numerous artists in Egypt, and soon afterwards, the rest of Middle East. 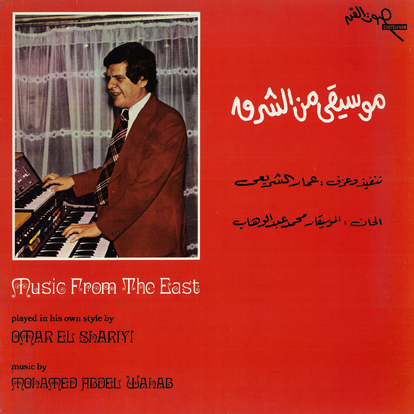 In the early 80s, El Shariyi began work with the Roland keyboard company to produce an ‘Oriental keyboard‘. The venture was so successful that it was used a trademark in the music scene in Egypt throughout the 80s and 90s. Omar had a fruitful career producing tribute albums in his own style of the departed giants of the Middle Eastern music – such as Umm Kulthum, Abdel Halim Hafez, Farid al-Atrash and Laila Mourad, to name a few. In 1980, he formed a group by the name of ‘Al Asdekaa’ – or ‘Friends’ – with three singers, which was a popular trend in Egyptian music in the mid 70s and lasted until mid 80s. 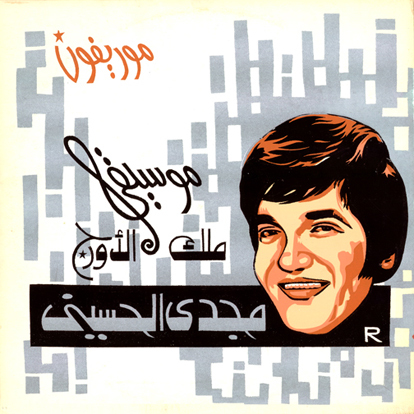 In the 1990s, El Shariyi would take standard Egyptian songs from radio programs and transform them to a larger sound production for television programs. 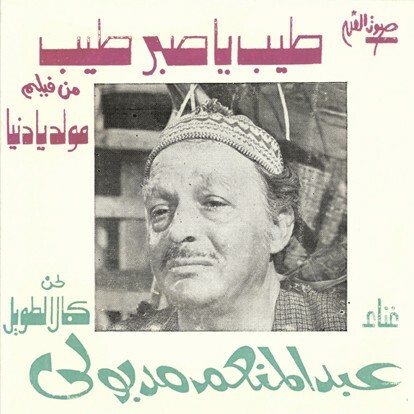 Omar’s love for the musical history of Egypt was evident in his compositions for radio, television and film – most of which were recorded in his ‘Omar Sound’ studio. Catalog number MT 4868 on Soutelphan Records of Cairo, Egypt. Released 1977. There’s been more than a few records that I have posted on this site that have made me question who the intended audience was when it was released. This one is right up front about it. It’s says it right there on the cover: “a holiday souvenir”. Eventually, I had Hany Zaki play name that tune for me. On the record, the track is listed as Amber of the Nile, but it is actually an excerpt from a much longer piece by Umm Kulthum called Lelit Hob, or Night of Love. Kulthum – who has almost as many variations on her name as Muammar al-Gaddafi – was know as the Star of the East (kawkab el-sharq). More than three decades after her death, she is still recognized as one of the Arab world‘s most famous and distinguished singers of the 20th century. But also of note was that the legendary Egyptian guitarist Omar Khorshid – who I believe is the guitarist on this track – got his start playing in her orchestra. 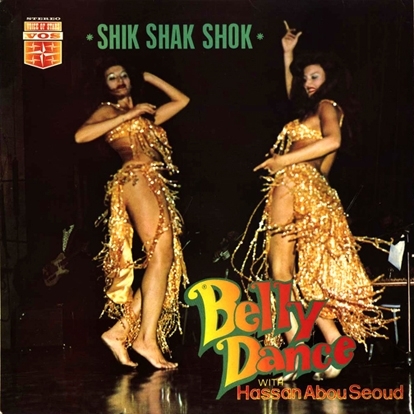 Catalog number 18-75171 on Sono Cairo records of Cairo, Egypt, released 1975. The guest post for this week is by Hany Zaki – my man in Cairo. I am not quite sure how I originally got in touch with Hany. I think it may have been that Baligh Hamdi single. 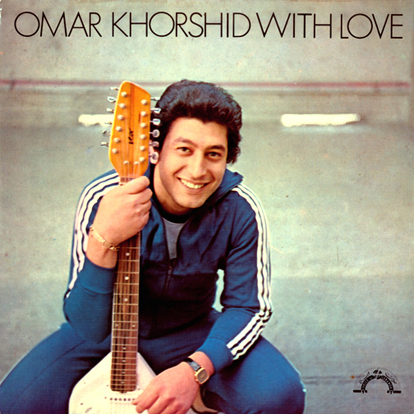 But once I mentioned Omar Khorshid, we hit it off and have been in contact ever since. Besides being an encyclopedia of Egyptian music, he runs a website dedicated to Omar Khorshid. The simple concept of friends stealing for an evil boss who meet someone who wants to straighten them out and make a musical show about their lives. This was the basic idea of the last quality musical of the 70s titled Mold Ya Donia (What A Bewildered World) that was a box office smash in 1976. The film, which stared the singer Afaf Rady, was highly produced by Baligh Hamdy, who had a number of hit singles a few years earlier. They were joined by a comic actor, Abdel Monim Madboly, who ironically performs a melancholic song moaning and crying about the good old times of being a carriage driver. The title name is Tayeb Ya Sabr Tayeb, and he appears in his stable drunk and whipping all over the place while he sadly sings… Surprisingly, it was a big hit for a soundtrack and deserved a single release and was filmed for TV later. On the other side two themes appear, titled The Factory Theme and Train Whistle Theme, adding cheerful unmistaken 70s beat of organ and percussion. Both were composed by Mounir Mourad, who was a pretty underrated multi-talented artist coming from a Jewish background with an artistic family of singers. Mounir Mourad was also a singer, as well as an actor and director but was most famous as a composer who made a new happy sound to the Middle Eastern ears thanks to his talents plus his wide knowledge of international music. He composed to almost every singer from the 50s till he died in 1980. Catalog number XSP 460 / 31-76009 – 45 S 230 on Soutelfan of Cairo, Egypt. Released 1976. Belly Dance is a Western name for an Arabic style of dance developed in the Middle East. In Europe, it is sometimes called “Oriental Dance”. Similarly, In Turkish it is referred to as “Oryantal Dansı” (“Dance of the East”). Some American devotees refer to it simply as “Middle Eastern Dance”. In the Arabic language it is known as Raqs Sharqi رقص شرقي (“Eastern Dance”) or sometimes Raqs Baladi رقص بلدي (“National” or “Folk” Dance). The term “Raqs Sharqi” may have originated in Egypt. Hassan Abou Seoud was from Egypt. Like many other Egyptian musicians of the time, he left for Lebanon in the early Seventies. There, he got his start playing accordion with Omar Khorshid at a night club in Beirut. He also was known to have done some recording with Farid al-Atrash, as well as others. He moved back to Egypt after the beginning of the Lebanese civil war in 1975 , where he started writing compositions for Sha’abi singer Ahmed Adaweyah. Shortly thereafter, he moved to Paris and formed his own orchestra, working in Arab night clubs there. He eventually moved into management, discovering and encouraged many artists. Once again returning to Egypt in the late Eighties, he began composing music for films. He then became the president of the Egyptian Musicians Syndicate in mid Nineties, which he held that position until his death in 2006. Thanks to Hany Zaki for the information. Catalog number VOS 10015 on Voice of Stars of Lebanon, pressed in Greece. No release date listed. Omar Khorshid is where all this insanity started for me, although I did not know it at the time. Back in 2005, while I was in San Francisco for my job, a friend of mine took me to Aquarius Records, where I picked up a disc called “Radio Morocco“. Although I had purchased a few other compilations of 60’s and early 70’s music from India, Asia and Turkey, as well as discs by Ananda Shankar and Takeshi Terauchi in the past… This was different. What was this music even called? I had no idea. So, to the internet. I started Google-ing everything I could think of. Eventually, I stumbled on some information about Omar Khorshid. Omar was originally from Egypt, where he got his start playing with Umm Khulthum, Mohammed Abdel Wahab, and Abdel Halim Hafez. He was the first person to introduce electric guitar into Arab music. Apparently, his brother Elhamy tried to imitate his sound but was supposedly not as popular as Omar. Besides being a musician, Omar was also an actor as well as having scored thirteen motion picture soundtracks. In 1971 he won the Premier Prize at the Film Festival of Tachkand for his music for the ﬁlm “Abnati El Aziza” (“A Teen’s Life”). His sister is also a famous Egyptian actress, Sherihan Ahmed Abd El Fatah al-Shalakani. In 1972, he moved to Lebanon where he recorded a handful of solo albums. He returned to Egypt after the civil war began in Lebanon in 1975. Upon his return, he starred in “Hata Akher El-Omr” (“Until The End of Lifetime”) along with Nagwa Ibrahim and Mahmoud Abdel-Aziz. Omar delivered his most noted performance opposite Madiha Kamel in “El-Arrafa” (“The Fortuneteller”) in 1981. He played a police officer who sympathizes with a student arrested for her political opinions. Two months after the critical acclaim and box-office success of the film, Khorshid was killed in a car accident. One of the more popular rumors was that he was having an affair with a married woman whose husband arranged the accident. As of March 2007, actor and singer Sameh Youssry is trying to convince members of Omar Khorshid’s family to authorize a biographical movie in which Youssry would star. The fact that there is not a shrine (or at least a website) dedicated to the man is a mystery. He does not even have a listing on Wikipedia. What little of his solo recordings that are in print and available on compact disc are not exactly his best material, but are will still worth tracking down. There is also a posting on Waxidermy for this album and Volume 2. Catalog number VLMX 87 Voix de l’Orient series for A. Chahine & Fils in Lebanon, manufactured and distributed by EMI of Greece, 1978. Since the initial posting of this article, Hany Zaki has started work on a website dedicated to Omar Khorshid. Baligh Hamdi was from Egypt. Born Abdul Hamid Hamdi Morsi on October 7, 1932, he showed promise as a musician, even at an early age. He had mastered the oud by age 9, and by age 12 he had applied to the Institute of Music Fuad I, but was not admitted due to his young age. He apparently started his music career while he was attending law school, when an advisor from Egyptian Radio asked him to sing on a radio programme. Eventually he went on to work with Oum Kolthoum (who apparently no one can agree upon a correct spelling of her name) and Abdel Halim Hafez. He conducted and arranged the live recording of Abdel Halim Hafez’s live recording of Mawood, featuring Omar Khorshid (a portion of which was featured on the Sublime Frequencies release Radio Morocco). Baligh Hamdi also worked with Algerian born singer Warda, who he married to for several years. He moved to Paris in 1985, where he collborated with artists from around the world, including Indian musician Magid Khan. He returned to Egypt in 1993, but died soon after on September 12, at the age of 61. Over at the great Waxidermy site, they have two more songs from this record posted here (although the names of the songs are Gada and Sahar), as well as a track from the album with Magid Khan here. Also, you can find a few clips of Baligh playing live, as well as songs performed by Warda, on YouTube at this link. Thanks to Hany Zaki for the invaluable information, and the picture. Catalog number 31-73097 Soutelphan of Cairo, Egypt. No release date given. Modern Egyptian music blends musical traditions encompassing indigenous Egyptian varieties as well as Turkish, Arabic, and Western elements. Arabic musical tradition is usually said to have begun in the 7th century in Syria during the Umayyad dynasty. Early Arabic music was influenced by Byzantine, Indian and Persian forms, which were themselves heavily influenced by earlier Greek, Semitic, and ancient Egyptian music. The tonal structure of Arabic music is defined by the maqamat, loosely similar to Western modes, while the rhythm of Arabic music is governed by the awzan (wazn, sing. ), formed by combinations of accented and unaccented beats and rests. 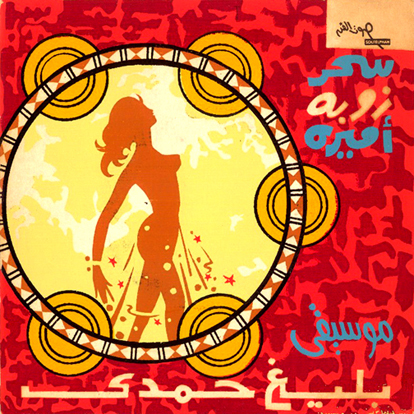 From the 1970s onwards, Egyptian pop music has become increasingly important in Egyptian culture, particularly among the large youth population of Egypt. Egyptian folk music, a direct descendant of ancient Egyptian music, is also popular. It is played during weddings and other traditional festivities. In the last quarter of the 20th century, Egyptian music was a way to communicate social and class issues. Magdy El Hosseini, as well as Omar Khorshid and others, were part of an Western music scene in Egypt from the mid 60s influenced by The Beatles and other beat music of the time. Both Magdy and Omar were in bands that performed in hotels and night clubs. But by the late 60s Omar switched from playing Western music, to more traditional music. When Omar Khorshid joined the backing orchestra for Umm Kulthum, he had Magdy join as well. Then later, when Omar recorded with the Al Massiyah Orchestra that backed Abdel Halim Hafez, he brought Magdy with him again. Like Omar Khorshid, Magdy tried to find a wide audience outside of Egypt, playing in Lebanon, Kuwait and Bahrain. But after the death of Abdel Halim Hafez, Magdy’s only appearances were on Egyptian television. Thanks to Hany Zaki for the translation and the invaluable information. 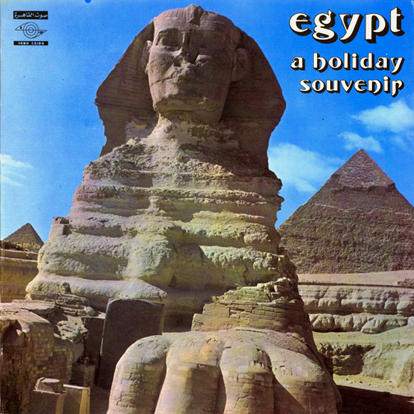 Catalog number 87-74083 on Moriphon Records of Egypt, recorded in 1974.